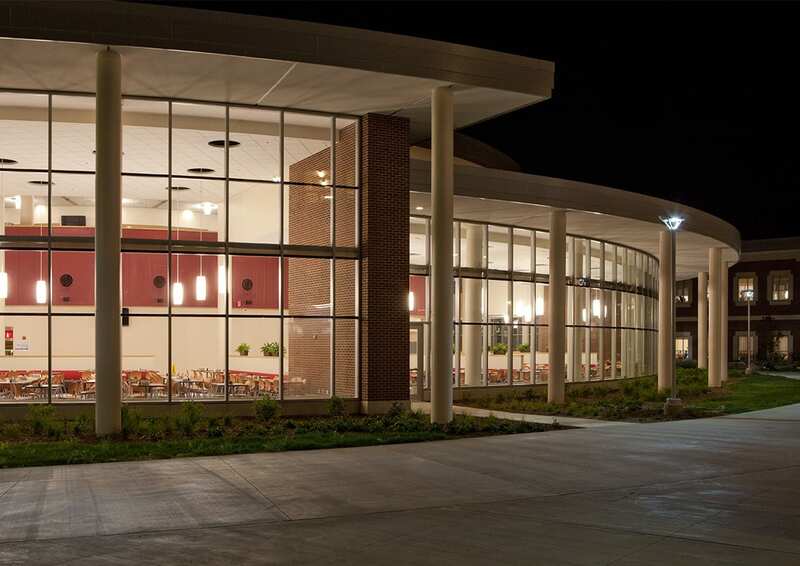 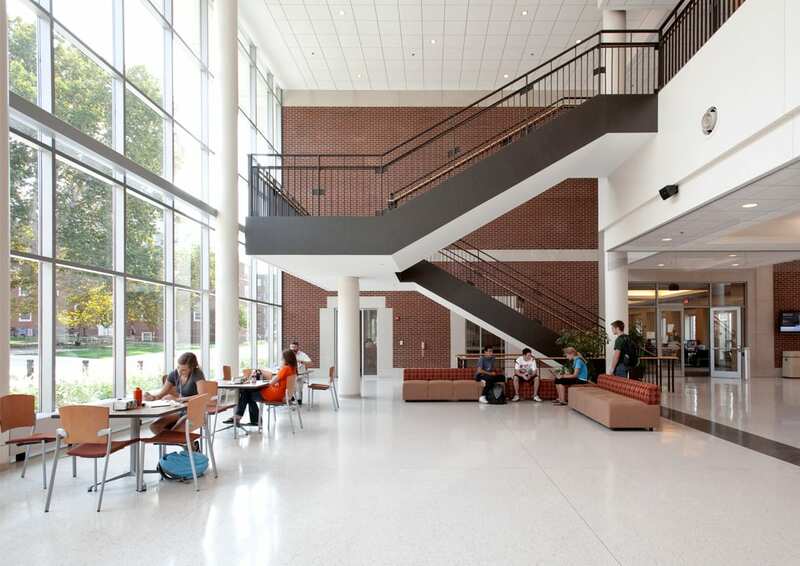 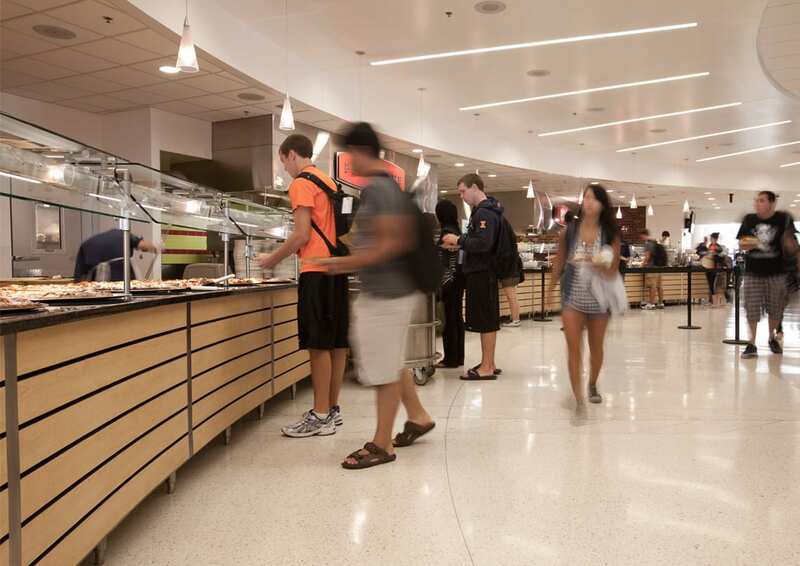 The Ikenberry Master Plan includes a Dining and Residential Programs building, Ikenberry Commons, specifically aimed at providing residents a place to gather. 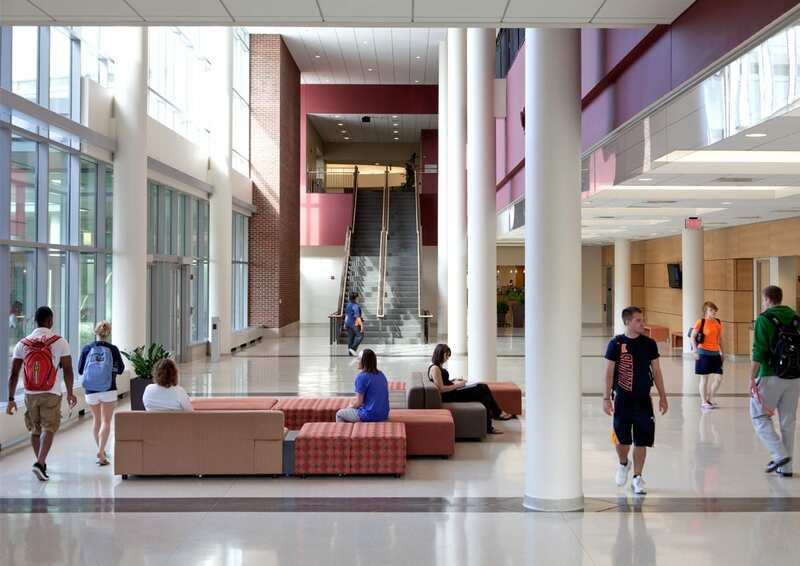 Completed in 2009, this building is capable of serving 3,600 students with an intimate scale and visibility. 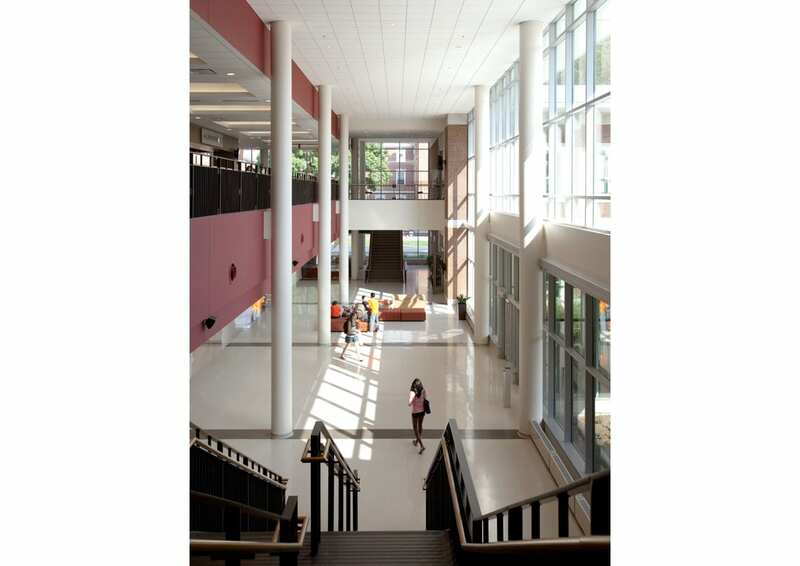 Part of a larger superblock, the building forges connections between interior and exterior to shape a series of informal social spaces, facilitating face-to-face interaction and collaboration. 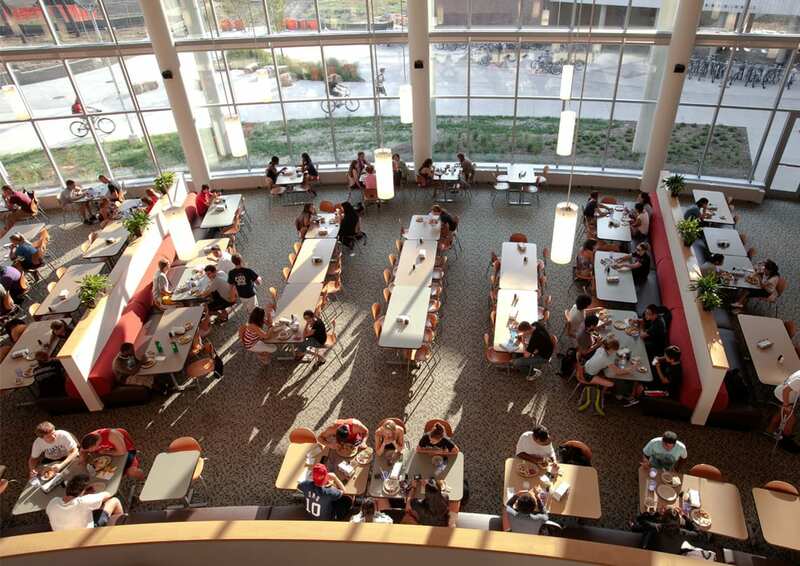 The dining area radiates from a central servery with four dining rooms of different sizes; other functions such as a library, fitness center, and student activities rooms add to the multi-faceted program. 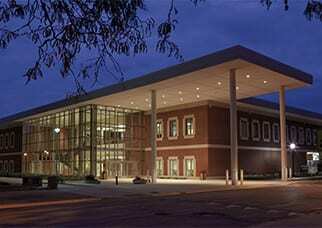 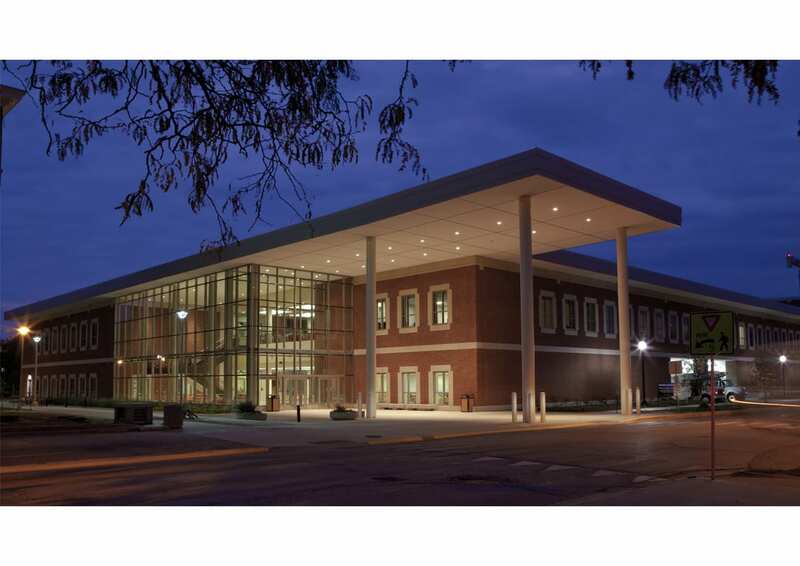 At 144,000 SF, the building is one of the largest such facilities in the country. 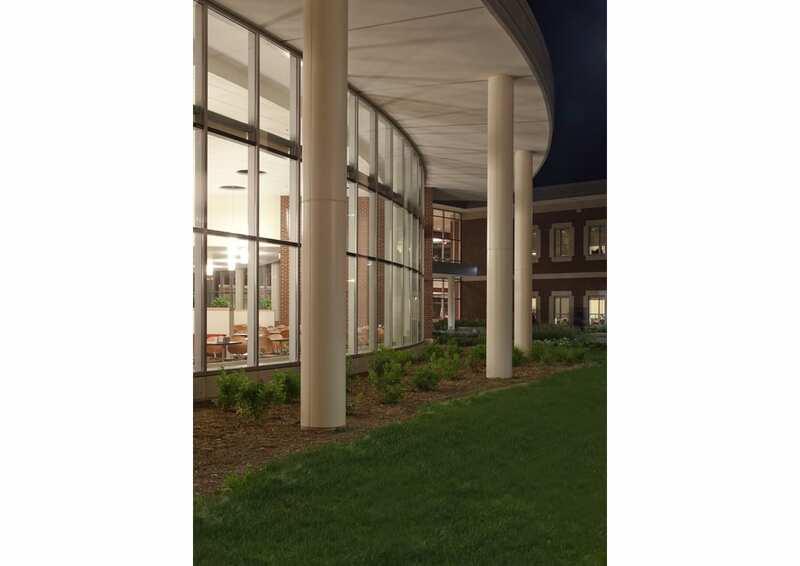 With sustainable features including solar thermal energy, rain gardens, and green roofs, this project sets a new standard for University residential housing, and is LEED Silver certified.